How to Make Presentations Interesting-Is Your Presentation Boring? An amazing client of mine sent me an e-mail the other day while she was at a conference. “Ugh! These speakers are so boring!” I hear this a whole lot. Speakers have a hard time maintaining the audience’s attention let alone getting them to follow their call to action. But this doesn’t have to be the case. If you’re going to present you absolutely need to know how to make presentations interesting. Scroll down to the How to Make Presentations Interesting section if you want to skip the background and get right to the tips. 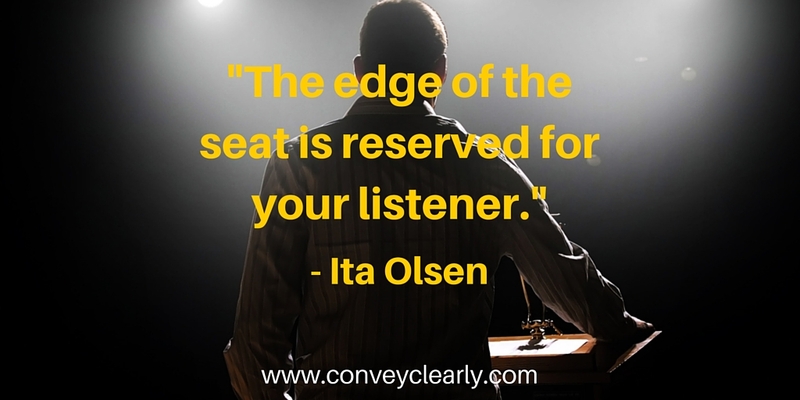 I help my clients master how to maintain the audience’s attention and magnetize them. Once they’ve learned what to do & what not to do to, the common communication pitfalls become glaringly obvious. Information is abundant & folks are busy these days, and if you’re going to take up people’s time, you better be keeping the audience on the edge of their seats. You’ve got to learn how to make presentations interesting. I spend quality time with my clients. We work together weekly for a couple of months at a stretch, so I get to learn a lot about them and their lives. They almost always have people in their lives who could benefit from communication skills training, but they feel like they can’t tell them. They just don’t feel comfortable saying, “Hey, I noticed you keep getting interrupted in meetings,” or “Your ideas aren’t being conveyed as well in front of a group as they are when you’re with me,” or “Your speeches are pretty boring. You should go to my speech coach & learn some awesome presentation techniques.” These aren’t exactly easy messages to deliver. Here’s the bad news: No one is gonna tell you your presentation is boring. No one is going to tell you that you just aren’t that convincing. When you’re done with the pitch that you’ve poured hours into, everyone will just pat you on the back & say, “Good job.” “You did great!” Even at Toastmasters you can’t always count on great, candid feedback. I spent years at Toastmasters & I loved it. It provides a great, supportive platform for you to practice your newfound skills. But most people’s feedback wasn’t on the money. That’s ok. Most people have their own wheelhouses & haven’t made communication their life’s work. I have. Subscribe for awesome tips here! We never spam! Following are the steps you can take to make your presentations exciting & amazing. This is what will get people following your call-to-action and wanting more from you. Remember all of these steps hold true for all speech but they must be somewhat exaggerated as the size of the audience increases. Use a varied intonation pattern. Think of the length of time you spend on a syllable and the volume of that syllable. If a word or syllable within a word has a lot of information you increase the duration of time you spend and the volume. Use Pauses. Do not be afraid of pauses! They are your friend! Remember this: You are in the future thinking about what you are going to say & your listeners are in the past processing what you’ve just said. Pauses get you both in the present. Also you can divide by half the amount of time you perceive a pause is and your listeners perceive your pauses to be. Use Fewer Words. Record yourself (gasp!) giving your talk and then write down only the skeleton. The meat of the message. This is how you find out where you’re being redundant and explaining things in an overly complex way. Streamline, folks. Remove all Undermining and Passive Language from your Presentation. I don’t need to say, “filler words”, do I? I was quoted in Time Out New York (in 1998!!) saying, “Replace your filler words with pauses” and it’s still applicable today. Also, don’t start with, “I won’t take up much of your time.” You’ll just seem nervous & like you don’t want to be there. And take “actually” “well” and “that” out of the talk as much as possible. Repeat Yourself. As much as I want you to eliminate & reduce the amount of low-value words you use I want you to increase the high value content. If something is that important say it once, stop & look around at everyone, and say it again. Then stop & smile. Look at your audience. When you’re practicing to an empty room or even a colleague pretend the room is as big as and as full as it’s going to be. 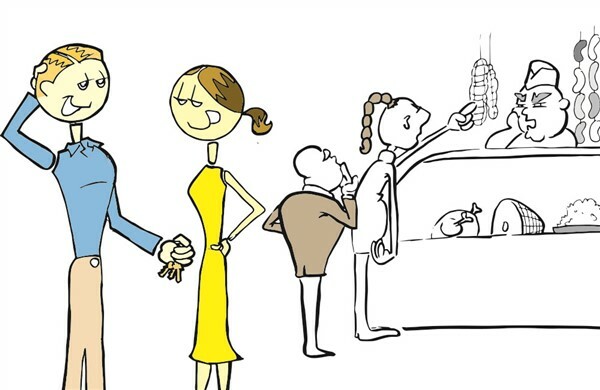 This role-playing exercise will help you to look at your audience while you’re presenting. Here’s a video on something you’re likely doing wrong when you’re presenting or in other anxiety-ridden speaking situations like pitches, job interviews, first dates, etc. If you want to be an exciting & magnetic communicator on & off the stage go get an assessment from a speech coach (you can contact me) Most of them are free in the hopes you’ll sign up. You end up with all the presentation techniques you’ll need to sound amazing. There’s another side to this story. If you do notice that one of your dear colleagues is a bit boring or says too many “um”s, be their friend and let them know. In private, of course. The talented Kim Scott recommends using Radical Candor when communicating with your employees. It’ll make you a great leader. Go Ahead & Make Your Presentations Interesting! Developing your communication skills is essential to getting ahead in this world. Nobody was born an amazing speaker in high-anxiety situations. Everyone you know who’s great at pitching, presenting & telling stories when the pressure’s on has worked on it! No will tell you your presentation is boring so just go ahead & make it more exciting! Great post, Ita! Giving criticism is never easy, especially for me, but the Radical Candor model (which I didn’t know about – thank you for the resource) provides a simple way to think about giving criticism. I guess at the heart of it all, as is with so much of communication and what we do, is genuinely caring about people and making sure they know we care. Feedback is essential for speaker development. I believe that the mastery of the subject approached also transmits to the listener when something differentiated is added. No doubt the intonation used will bring the listener to attend or not. Great post!